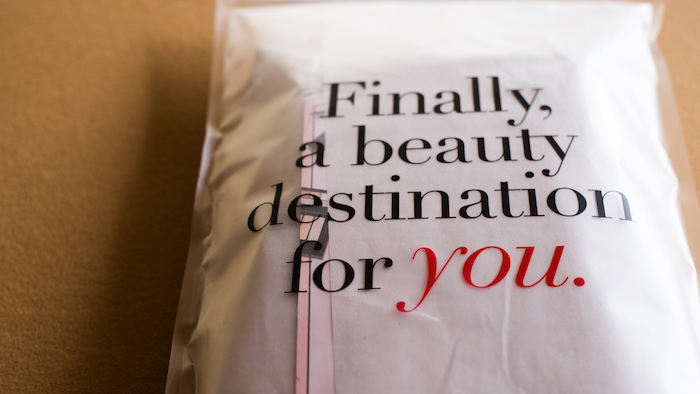 When it comes to Manila based, online beauty shopping, BeautyMNL sits on my top 3 sites. 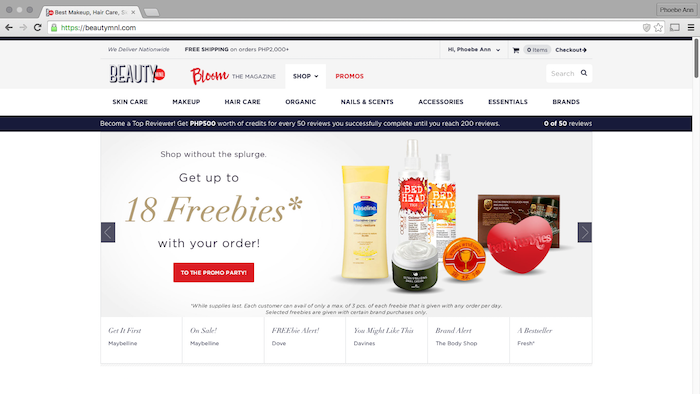 The site is very user friendly, has a vast selection of beauty goods from basics to hard-to-find products, boasts a good variety of payment options (you can even pay cash upon delivery! ), and has an extremely fast transaction turnaround. I did a mini haul for the household (the gents were out of shampoo!) Thursday past midnight and got my order the afternoon of the same day. How efficient! Head & Shoulders Hair Retain Shampoo for Men. The ladies love it too because it doubles as a clarifying shampoo that also helps prevent bacne. I got two so that we can have one for every bathroom. Ofra Universal Eyebrow Eyeliner. I heard lovely things about this eyebrow pencil and the promise is true -- it's a natural looking, universal brown for a lot of skin tones and it glides on like a magic wand. No waxy feel too! Nippon Esthetic Square Sponge (2 pieces) and Nippon Esthetic Round Sponge (2 pieces). We can never have enough beauty sponges and puffs, right? 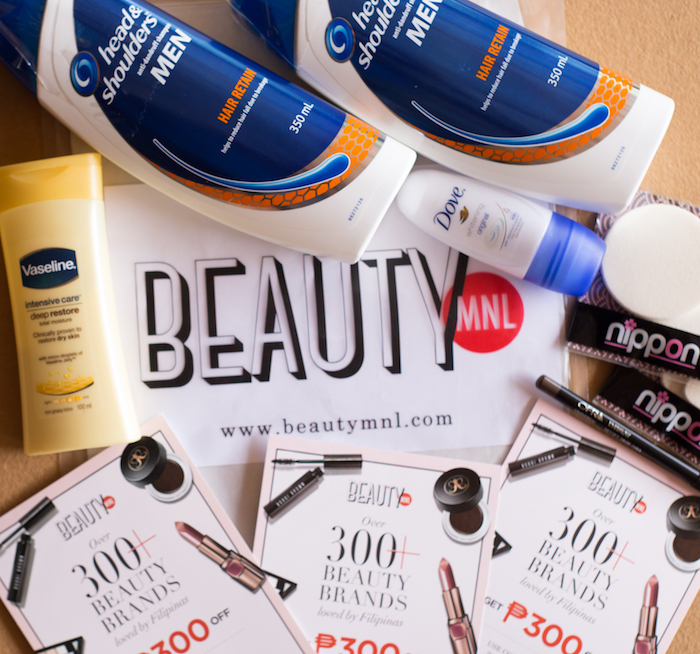 Apart from freebies, BeautyMNL is also giving away Php 200 worth of BeautyMNL GCs! If you like taking selfies like I do, beat the crowd by joining their #selfieMNL contest! Get a chance to win a Printster polaroid of your pretty face and a PHP200 BeautyMNL GC. Visit this link for full details.